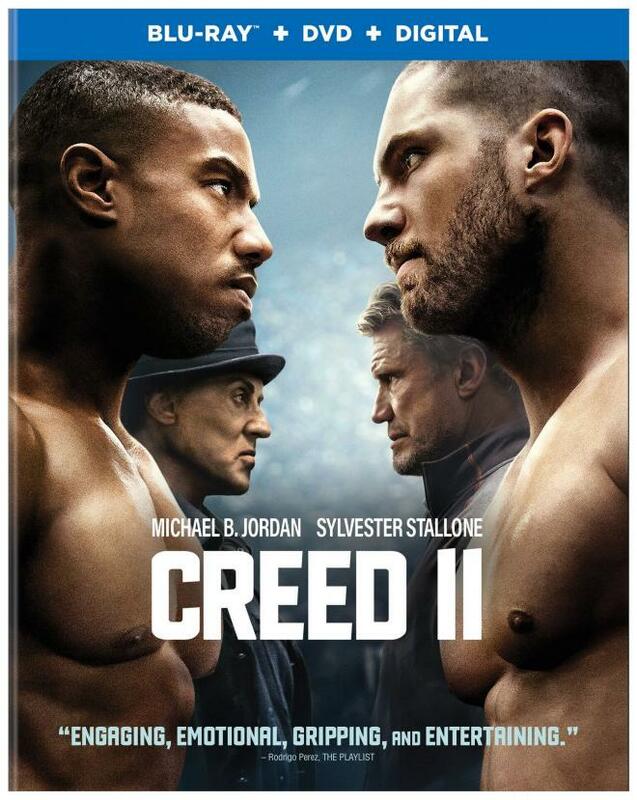 Sylvester Stallone and Michael B. Jordan reprise their roles in Creed II, a superb follow-up to the reboot series where the two men fight the ghosts of their past and featuring excellent performances by the entire cast. The sequel struts its stuff to the Blu-ray ring with a near-reference video presentation and a satisfying Dolby Atmos soundtrack, but a disappointingly light set of supplements. Still, the overall package is Recommended for sports fans everywhere. 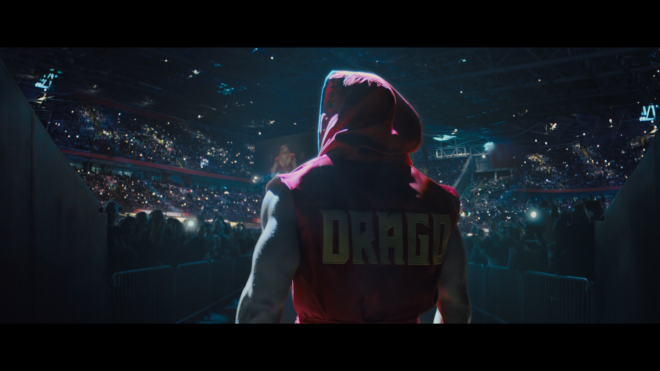 You can read our full thoughts on the Sylvester Stallone-produced Creed II in our review of the 4K Ultra HD Blu-ray HERE. 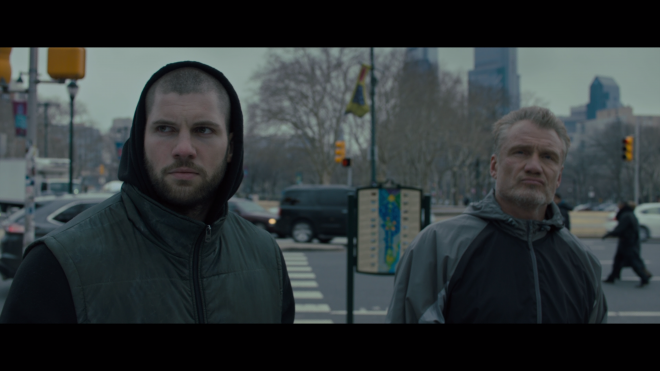 Warner Home Video and MGM Home Entertainment bring Creed II to Blu-ray as a two-disc combo pack with a flyer code for a Digital Copy. 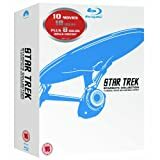 The Region Free, BD50 disc sits opposite a DVD-9 copy inside a blue, eco-cutout case with glossy slipcover. After a couple of skippable promos, the screen changes to a generic static menu with options along the bottom of the screen and music playing in the background. Adonis Creed enters the Blu-ray ring for a second time in top-notch form with a first-rate 1080p/AVC MPEG-4 encode yelling from its corner. The freshly-minted transfer comes out punching with excellent clarity during the action-packed boxing matches, showing clean, well-defined lines and wrinkles in the satin-polyester fabric of the shorts and gloves. Viewers can make out the stitching and threading as well in various other articles of clothing, such as the scarves and leather jackets worn throughout, and individual hairs are distinct. Facial complexions are highly-revealing, exposing every pore, wrinkle and negligible blemish with healthy, accurate lifelike textures. The people filling the stadium are plainly visible in the distance while some daylight exteriors, especially the training montage sequence in the California desert, reach the level of demo-worthy. 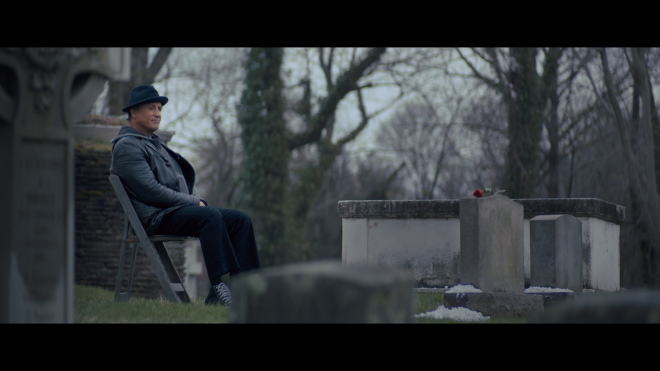 The Rocky Legacy (HD, 15 min): Dolph Lundgren narrates this short piece on the entire franchise and its lasting impact with cast & crew interviews sharing various anecdotes from various productions, thoughts on plot themes and tons of BTS footage. Fathers & Sons (HD, 7 min): Cast & crew interviews talking about this sequel's central theme and how it drives the motivation of characters. 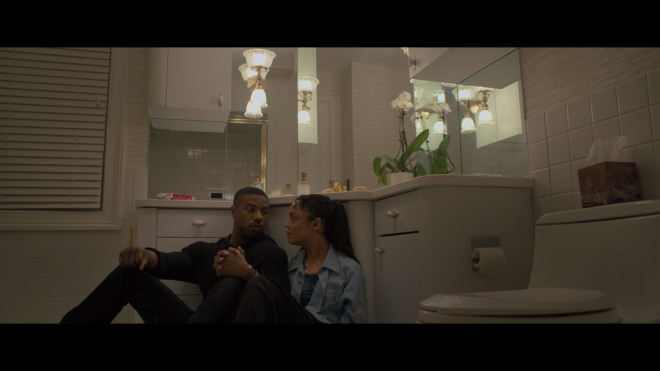 The Woman of Creed II (HD, 6 min): Stars Phylicia Rashad and Tessa Thompson share their thoughts on the role their characters play in the lives of the men in the story. Casting Viktor Drago (HD, 6 min): More interviews focused on actor Florian Munteanu and his character with a few words from the star himself about joining the cast. Deleted Scenes (HD, 10 min): Four extended and excised sequences. 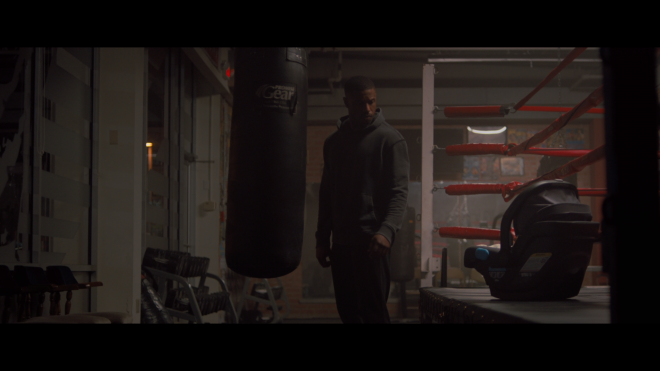 Adonis Creed and Rocky Balboa return to the ring in Creed II, featuring a rematch against a familiar foe who manages to open old war wounds. With excellent performances from the entire cast, the two fighters fight for more than just the championship belt and the adoration of the public, but also against the ghosts of their past, haunted by the ramifications of bygone decisions. The sequel struts its stuff to the Blu-ray ring with an often-stunning, near-reference video presentation and an excellent Dolby Atmos soundtrack cheering it from the corner. Although the supplements are disappointingly light, they are nonetheless entertaining, making the overall package Recommended for sports fans everywhere.